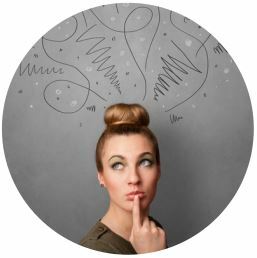 Intuition is sometimes described as a “sixth sense.” Unlike logical or deductive methods, it involves knowing without being able to explain the means of arriving at that understanding; the “how” of intuition is concealed from the knower. Consequently, in a way similar to sense perceptions, we tend to experience intuitions as given rather than as products of conscious effort. Carl Jung proposed two varieties of Intuition—Extraverted Intuition (Ne) and Introverted Intuition (Ni)—which he classified as perceiving functions. 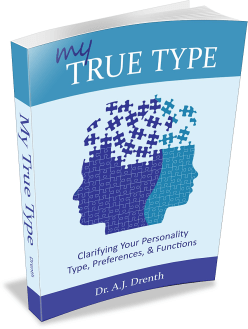 Moreover, type theory informs us that all “NP” types (i.e., ENFP, ENTP, INFP, INTP) use Ne, and “NJ” types (i.e., INFJ, INTJ, ENFJ, ENTP) Ni, as either their dominant or auxiliary function. Unfortunately, due to fact that Ne and Ni both exhibit certain general features of Intuition, many people fail to properly distinguish and identify them. To combat this confusion, this post will explore key Ne-Ni differences, as well as ways in which these functions can masquerade as one another. Because ENPs (i.e., ENTP & ENFP) and INJs (i.e., INTJ & INFJ) utilize intuition as their dominant function, we will use them as respective representatives of Ne and Ni throughout much of our discussion. To understand how Jung approached these two functions, it helps to first gain a sense of his view of Introversion and Extraversion. Namely, Jung saw Extraversion as operating in a broad and expansive fashion. This is exemplified by the fact that Extraverts tend to have shorter attention spans and frequently shift their focus from one thing to the next. Their social relationships and interactions are also more extensive in nature, characterized by breadth rather than depth. Jung viewed Introversion as more intensive and focused. Instead of constantly shifting or extending their attention, Introverts dive deeper by investing more of their time and energy into a handful of things they really care about. In this light, Extraverted Intuition can be considered more expansive and less focused than Introverted Intuition. Types who lead with Ne (i.e., ENPs) generally display a greater breadth of hobbies and extraverted activities than Ni dominants (i.e., INJs). Quintessential dabblers and dilettantes, ENPs are often good at many things, but their breadth of interests may prevent them from achieving mastery in any one area. INJs, by contrast, are more apt to develop expertise in a specific subject or discipline. We can better understand Introverted and Extraverted Intuition when their respective sidekicks, Extraverted Sensing (Se) and Introverted Sensing (Si), are added to the mix. According to type theory, Ni uses material absorbed subconsciously by INJs’ inferior Se function to detect a pattern or theme occurring in the physical environment. Se casts a wide perceptive net into the observable surroundings, taking note of visual, auditory, and other “sensory clues.” From this sea of sensory data, Ni finds a narrow (however deep) underlying pattern. Whereas Ni borrows from a breadth of sensory information (Se), Ne draws on an intensive store of inner experience via Si. In a way, Si represents a concentration of Se snapshots—a culmination of repeated experiences over time—and recognizes an established pattern of doing. From this deep and narrow knowledge of what has been, ENPs are able to extract and put forth a breadth of possible “what could be’s…” And the possibilities, from an Ne perspective, are truly endless. Unlike Ni which interprets deeply from Se breadth, Ne interprets broadly from Si depth. One of the hallmarks of NP types is their ability to take a small amount of Si material and fashion a plethora of options. 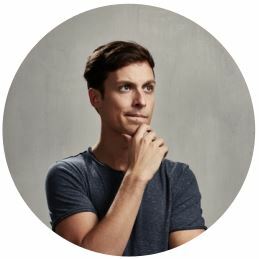 We have sometimes said that if you give NPs a paperclip, an old tin can, and a few yards of string, they could probably figure out a way to manufacture a designer gown, a bicycle, and who knows what else; you never know what the NP might come up with. What distinguishes Ne and Ni might be concisely summarized as this: Ne is characterized by its ingenuity, Ni for its insight. It’s this same Ne ingenuity that has been glorified over history as the quintessential “spirit of America”—a starry-eyed sort of entrepreneurial brilliance. NPs are masters at spotting unmet needs and craftily engineering ways to fill the void. If you had to be stranded on a desert island for any period of time, you’d most definitely want an NP in your crew. 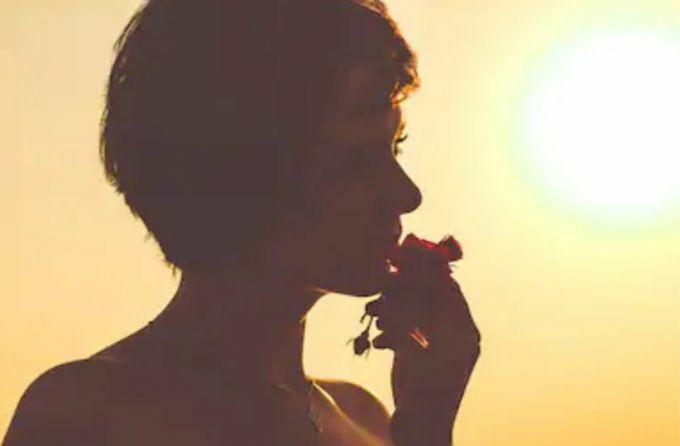 As we’ve seen, Extraverted and Introverted Intuition both exhibit qualities associated with Intuition generally, including a focus on the ideational, theoretical, and metaphysical. But NJs are less adept at putting forth possibilities and might even be seen as less “creative” than NPs (if we understand creativity to entail a divergent output of ingenuity and inventiveness). Similarly, NPs are less equipped to extract convergent insights from experiences. While they are adept at seeing potentials in everything, ENPs can be unreliable when it comes to zeroing in on singular causality. Of course, what can happen is that from the barrage of theoretical possibilities produced by Ne—like a spray of machine gun bullets firing at a small and distant target—one will occasionally catch the bulls-eye. What’s interesting about this is how surprised (and often unconvinced) ENPs can appear when they actually hit the target! Typically, NPs can’t be fully convinced of the veracity of any single theoretical proposition until they’ve run the full gamut of possible solutions. 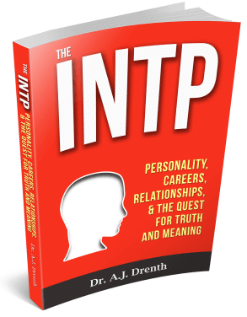 In truth, NPs probably shouldn’t be focused on arriving at convergent insights in the first place, which often requires a retrofitting of Ne to meet a preconceived Si endpoint; in essence, it is the same thing as operating like an ISTJ or ISFJ (types who also use Ne and Si, only in the reverse order). In such instances, Si is actually captaining the ship, while the creativity of Ne is used to justify it. When NPs attempt to do this, the result can look curiously like Ni, which presumably involves a sort of “blending” of Si and Ne. Unfortunately, when NPs race to find THE answer they prohibit Ne from thoroughly exploring the matter. One can observe a similar masquerading phenomenon in NJ types. Namely, when NJs becomes fixated on achieving a certain Se outcome, Ni is effectively commissioned by Se to take over the creative “how to” role, that is, to imagine the way the vision could be achieved. This process is suspiciously akin to Ne; rather than focusing on interpreting “what is” (Ni), NJs becomes enamored with hypothetical “what ifs” (Ne). Both ENP and INJ types can be subject to jealousies pertaining to each other’s dominant functions, which seem to represent an ideal marriage of their respective dominant and inferior functions. 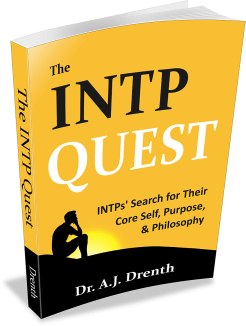 In the case of INFJs and INTJs, the goal is to take the insight of Ni and have it revealed or manifested in the outside world; in other words, to reconcile inner perceiving (Ni) with outer perceiving (Se). INJs are usually perspicacious enough to know that Se on its own (as witnessed in ESP types, for example) feels relatively hollow and undesirable, as it severely lacks N consciousness. Ne, however, appeals to INJs because of its apparent unification of external performance and N ingenuity / consciousness. In other words, it seems to embody the holistic aspect of individuation—the concept of marrying Ni and Se—in a way that is far more appealing than Se on its own. ENTPs and ENFPs return the envy in their admiration of Ni. In order to achieve individuation, ENPs must reconcile their breadth of ideation (Ne) with a sense of convergence and consistency (Si). But Si taken on its own rarely garners full respect from ENPs, as it often fails to question or explore the theoretical reasons (N) for adhering to a given tradition or belief system. Ni, however, with its sense of constancy and theoretical complexity, gives the appearance of having unified Si and Ne in a way that ENPs may admire.